Some things just go together like St. Patrick’s Day and corned beef – and, of course, for me it was only a small leap until I was asking, “Are there hundred-year-old recipes for corned beef? I’m happy to report that I found an excellent hundred-year-old Corned Beef Hash recipe that was simple to make and a great way to use any corned beef left over from St. Patrick’s Day. However, there was one little glitch. I couldn’t bring myself to try the serving suggestion. Pour a ring of ketchup around the Corned Beef Hash? It might make a lovely presentation (though I tend to think not), but I’ll never know for sure. And, I didn’t serve the Corned Beef Hash with baked bananas. Baked bananas may be tasty, but the 1919 cookbook didn’t include a recipe for them, and I don’t know how to make them. I must be lacking a bit of common cooking knowledge that most cooks had back then . . .sigh. 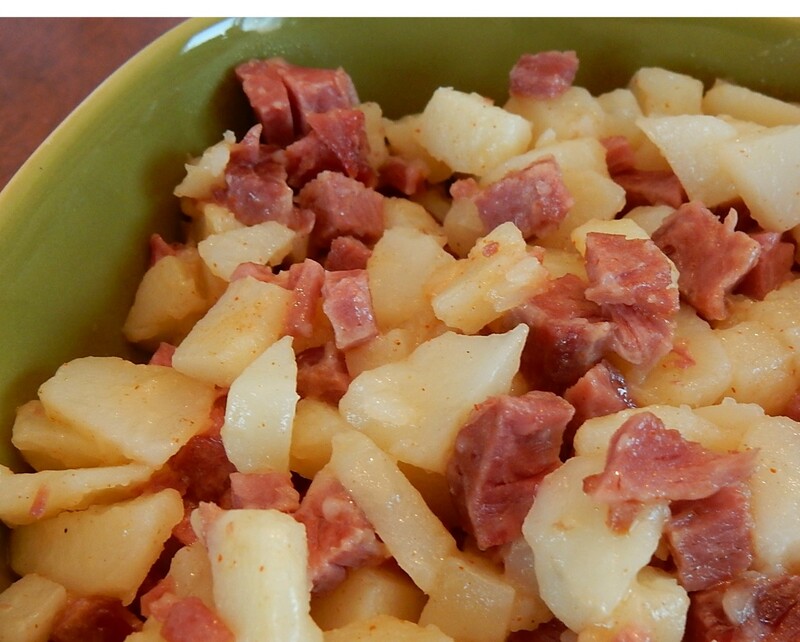 Melt shortening in a skillet that has a lid; add corned beef, potatoes, and broth or water. Sprinkle with paprika. Gently stir to combine. Cover pan and cook using medium low heat until hot and steamy (and until most of the broth has been absorbed or evaporated). Stir occasionally. Do not allow the potatoes to brown. Remove from heat and serve.